The Cruising Fleet was formed to promote fellowship, cruising as a group activity, and to afford an opportunity to develop skills in navigation, cruise planning, boat handling, docking, sailing in various conditions, and to exchange knowledge and information unique to the cruising experience. The fleet sponsors numerous parties and cruises during the summer to such exotic destinations as Put-in-Bay, Leamington, Lorain, a "Mystery Island", Middle Bass, Port Clinton, and Scudder’s on Pelee Island. In addition a week long cruise is planned for those with the time and desire. Wednesday Evening Bay Cruises and several Sunday Morning Coffee Club gatherings are two more examples of activities sponsored to foster a sense of community among SSC sailors. There are also mentors available for those who feel they would like some help or encouragement. 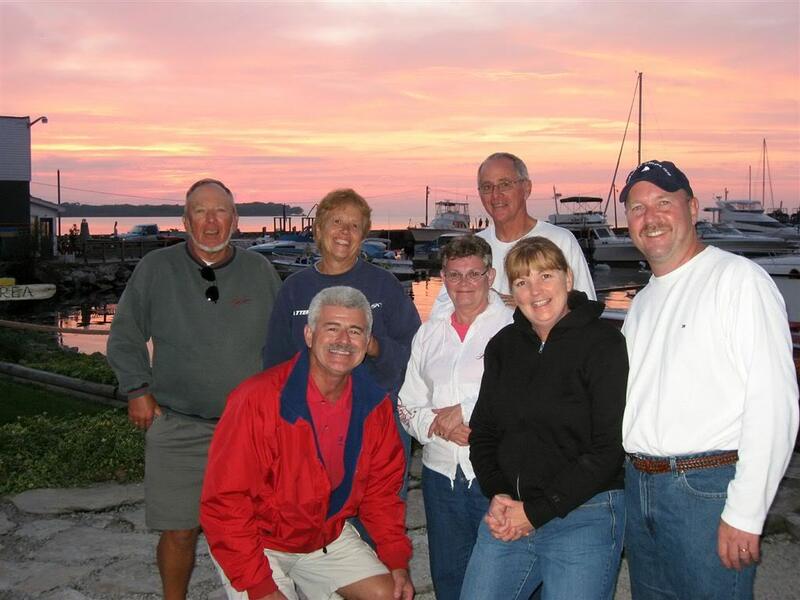 The SSC Cruising Fleet holds joint sail-away events, rendezvous, and cruise-ins with other clubs such as Cedar Island Yacht Club, Harbor Bay Yacht Club, West Shore, and Lorain Sailing and Yacht Club. Weekend seminars are held to cover such topics as living aboard, cruise planning, weather, VHF radio use, navigation, docking, anchoring, single handling, and safety. Since Cruising Classes are being added to many of the larger regattas, we assist our members in obtaining a cruising rating and conduct "fun races" as part of our point-to-point cruises. Cruise details will be included in the Cruise News as we get times and more information for these events. We will have a Mystery Island weekend whenever the weather looks favorable.